What affect, if any, to giving birth in another state for custodial purposes? Where a child is born is very significant, in terms of what state has jurisdiction over the child, esp if an interstate custody dispute should arise. Pursuant to the Uniform Child Custody Enforcement laws, where the child is born and lives for the first six months of it’s life is the state that has jurisdiction to determine custody issues, unless the child is over 6 months of age and has established residency in another state. Another factor that would affect what state has jurisdiction is whether the child is born in or out of wedlock, to a single mother or a married couple. Generally, if you are a single mother, and want State X to be the home state of the child, you should give birth there, and stay there with the child for at least six months. A brief visit to another state will not interfere unduly with the state’s right to jurisdiction; however if you there is no clear cut domicile and residency for the child within its first year, the court will look to broader issues such as where have the parents resided for the better part and what kind of ties to the community a child has with any of the states at issue. Further if you removed yourself with the child in utero, without consent of the father/husband you are looking at a more complicated legal situation. If the father is an MA resident and is adamant about the child remaining in MA, you may have a problem if you have not clearly established the child as born and resident in the state of your choice, and the MA court may require you to return the child to MA. The less stable the child’s identity with another state, the more likely MA will find jurisdiction to award or determine any custody issues. As always, I must advise anyone considering relocating to give birth to consult with an attorney. Can both spouses file for temporary orders in Massachusetts? And what happens if both spouses request the same order? Orders on motions in child custody/support cases are always decided upon the same basis: the best interest of the child and who makes the best argument why the child would be better off in their custody. Motions for Temporary Orders should be filed right away (with or soon after the filing of the Complaint for Divorce). Temporary Orders can remain in place throughout the pendency of the litigation and are often converted into permanent orders at disposition. There is no strategic advance in filing first in this instance. You should discuss these concerns with an knowledgeable family law attorney. Contact my office for a confidential consultation. I have custody of my 4 yr old daughter. Her mother just moved to Texas and wants her to visit there. How can I stop this? There is usually a visitation order issued concurrent with the award of custody. One parent has physical (and possibly sole legal custody) and the other has the right to visit with the child. The visitation order lays out when (and sometimes where) the child can visit with the non-custodial parent (“NCP”), as well as any restrictions to the visitations such as a third party’s presence or supervision of visitations. Unless otherwise expressly stated in the order, the court did not envision visits across the continent. Without the custodial parent’s express consent, the either or both parents have to go to court to seek a modification of the visitation order to allow out of state visits. It’s the custodial parent’s burden to seek permission of the court and to argue why relocation should be permitted. Until such time, it is the NCP’s right not to allow the out of state visits; but you should accommodate visitation locally to be in compliance with the order as intended. In the event the relocation is permitted, the NCP can travel to the child to exercise the visitation rights. If you are served with a notice of a motion (to modify visitation), retain counsel to assist you prepare your rebuttal arguments. If the NCP removes the child from the state without permission or court order—that becomes a whole different ballgame. Interstate removal of a child is a crime, even by a parent. There are federal Parental Kidnapping Laws the prescribe the treatment of a parent who engages in this type of conduct. Assuming the NCP is paying child support, there may be a modification of the support obligation to off-set the travel expenses–if the matter ever comes to court. Otherwise, keep the status quo. What are the steps to gain full custody of my daughter? 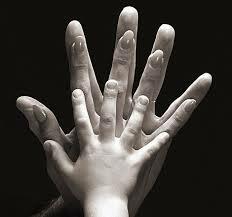 “Legal custody” of a child means having the right and the obligation to make decisions about a child’s upbringing. A parent with legal custody can make decisions about schooling, religion, medical care, etc. “Physical custody” means that a parent has the right to have a child live with him or her. These simple delineations are muddied by the legal options of “sole” legal or sole physical custody and joint legal/joint physical custody. In many states, courts regularly award joint legal custody, which means that the decision making is shared by both parents. Some states will award joint physical custody to both parents to allow the child to spends significant amounts of time with both parents. Joint physical custody works best if parents live relatively near to each other, as it lessens the stress on children and allows them to maintain a somewhat stable routine. One parent can have either sole legal custody or sole physical custody of a child. Courts generally won’t hesitate to award sole physical custody to one parent if the other parent is deemed unfit — for example, because of alcohol or drug dependency, a new partner who is unfit, or charges of child abuse or neglect. Now that we understand the framework of a custody question, we can discuss the process. Typically, where parents are seeking divorce, they must file a Complaint that lays out what relief they want the court to grant as part of the divorce judgment; they will include a request for custody and support of the child/ren. Many factors are considered by the court in making its determination–everything from any history of alcohol or drug dependency, to conduct and lifestyles of the parents, to their ability to communicate with each other and the child, to quality of life for the child. The standard for assessing the most suitable custodian for the child is “the best interest of the child”. Most typically, court will grant sole physical custody to one parent, and joint legal custody. An unwed mother or father may also seek custody of a child. This is done by filing a Complaint for Custody in a local Family Court. It will involve first establishing paternity. “Full custody” legally speaking– means sole legal and sole physical custody of the child. This is harder to achieve. The burden is on the moving party to prove why the other parent should be “shut out” of the child’s life. The court is disinclined to do this. The removal of parental rights is a separate procedure, usually brought by the state in severe abuse and abandonment situations. Lastly, even in circumstances where a parent is given sole legal and physical custody, the courts will encourage visitation by the child with the non-custodial parent. Every custody order will be accompanied by a visitation order and schedule. Custody hearings can be very contentious. Not only is the custody of the child at issue, but associated with the custody is the right to support. The non-custodial parent pays the larger share of the the support obligation–usually in the form of weekly or monthly cash payment to the custodial parent until the child is 18, 21 or 23 years old, depending on their status as a college student and the history of the parents’ own education levels. Child support is a percentage of the combined incomes of the two parents: 17% for one child, 25% for two, and so on. A person would be well advised NOT to seek a custody/support order without the assistance and benefit of legal counsel knowledgeable about the laws and procedure of the Probate & Family Court. If you feel you cannot afford a lawyer, there are various agencies and organizations that may be able to provide free or low cost legal representation. http://www.masslegalservices.org is a good place to start looking (for MA residents). If you have a question about a prospective custody application, or if you have an existing order you want modified, please contact the Matta Law offices. I’m 16 yrs old. How can I become “emancipated”? In some rare instances the courts have allowed a minor to become “Emancipated”–to assume their own responsibility for their own care and to severe the obligation for such care with the parent(s). In order for a court to allow such a legal severance of the parental duties, a petition must be file before a court of competent jurisdiction (usually a Juvenile or a Probate & Family court) where a hearing or series of hearings will be held. In order to qualify for a legal emancipation you must: (a) be married, or (b) you must be in the U.S. armed forces, or (c) you must be living apart from your parents or guardian and be managing your own money and attending school regularly, or (d) the court must decide that emancipation is in your best interests, or your parents, or your minor child (if you have any). You should consult with a lawyer specializing in juvenile law. The juvenile court or probate court may appoint one for you at no charge. Here is a link to a website that gives you a summary review of the process. If I get custody, can I stop paying child support? If physical custody is granted to one parent (the “custodial parent”), that parent is entitled to receive child support, for the benefit of the child, from the “non-custodial parent”. If, as your question implies, you are a non-custodial parent ordered to pay child support and you want to assume physical custody to avoid future child support obligations, the short answer is: It’s Possible IN THEORY. However you have a long, legal battle ahead. You can file a Complaint for Modification of Custody (so called in MA–each state will have its equivalent). This is an application to change an EXISTING order. You must be ready to give cause to the court why the existing order should be changed, and why you are the better custodian of the child. To summarize a lot of jurisprudence on the subject, you have to (a) show a substantial change in circumstance (b) prove the change in custody is “in the best interest of the child”. Moreover, if you owe payments or money on the prior order of support, you cannot absolve the debt through assumption of the custody. You still have to pay all arrearage (and interest and penalties, if any) under the original child support order. While assuming custody to avoid child support payments may sound like a smart idea, it’s really not in most cases. A non-custodial parent would have to balance the savings in payment versus the cost of actually rearing the child (custodial parents usually carry 80% of the cost of rearing a child, despite the support payments) as well as the time and cost of litigating the modification order, with unfavorable chances of prevailing. What does an “uncontested divorce” really mean? Historically, divorces have been frowned upon socially, and discouraged legally. During the 18th and 19th century, the court system created a complex set of criteria (elements that had to be plead and proven) in order to have a Complaint for Divorce accepted for consideration by the court. 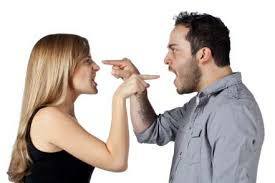 There were five causes of action for divorce–reasons why a party could seek divorce: adultery, imprisonment for 3 years or more, cruel and inhumane treatment, abandonment for a year or more and constructive abandonment (refusing to have conjugal relations with your spouse). All that changed in July 2010 when the last holding-out state (New York) adopted what is now universal “uncontested divorce” statutes. An uncontested divorce (also called a no-fault divorce) eliminates the need for a “cause” or “fault” to get a divorce. The new standard is “irretrievable breakdown of the marriage” or any such language, as specified in the state statute. Cause-based divorces are still possible, but not necessary. Effectively, if you want a divorce, you can get one. Most attorneys will use the no-fault statutes because the client is spared having to plead and prove fault (which of course would add time and cost to the proceedings); however, in some instances, such as domestic violence, fault (cruel and inhumane treatment) is still needed. Fault based divorce can have legal affect on the opposing party in terms of rights and privileges. No fault divorce has not changed any of the collateral issues that are associated with divorce: custody and child support, distribution of marital assets. In law, the marriage itself is a “res” (Latin for “a thing”). The dissolution of the “res” can be resolved, even while the collateral issues remain and must be litigated. When, where and how these “collateral issues” can be resolved is the subject of another blog! A motion is the legal vehicle, a writing and a filing with the court, by which one party “moves” the court for an order, decision or interim ruling after the case has been commenced and during the pendency of the litigation. Motions are not permitted as a way to commence an action. An action may only be commenced by the filing of a Complaint. A motion must be filed with the court and served on opposing party. The “moving papers” must state with sufficient clarity what exactly is being sought from the court by order and when/where the motion will be heard. Movants (the moving party) must also give sufficient time to the opposing party to respond before the hearing date. Said time is set by statute or court rules. While rulings on motions are often interim, they can affect final disposition. For example, in a divorce action, a ruling on motion for temporary custody is often incorporated into the final judgment. Either party can file any motion(s) they feel necessary to advance the action in their best interest. Motion practice (as it is called) is vast and almost anything can be sought by proper motion (e.g. an extension of time to answer a complaint, an adjournment, temporary child support, motion s to vacate, dismiss the action entirely…) While the only thing that cannot be sought by motion is the entry of a final judgment, I hasten to add, that rulings on motions will be considered by the court in making a final judgment. A counselor can appear and be heard in many motions without the party they are representing present. In fact many motions are procedural and do not require the presence of either parties. There are also sanctions for frivolous motion practice. This is done to discourage attorneys from indulging in harassment of the opposing party by excessive motions practice. Moreover, motion practice can be very expensive. If, as in most instances you are paying your counselor by the hour, a motion could cost anywhere between $2,000 and $10,000 or more, depending on the circumstances. If you feel your attorney is engaging in unnecessary motion practice (to run up your bill) speak to them directly. However, since an affidavit by the moving party in support of the motion is required in every instance, where the signature of the affiant is required, you will have ample notice that your attorney is intending to file a motion. Never hesitate to ask your counselor why a particular motion is being filed and how exactly will it advance your position. By the same token, do not hesitate to ask that a motion be filed to advance your case and your position therein.